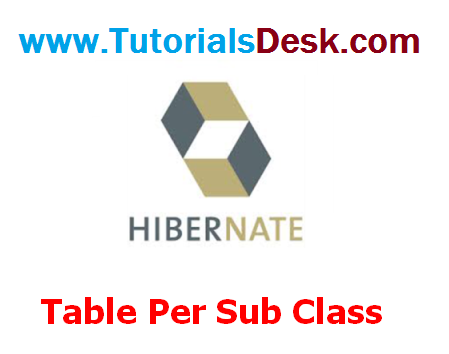 As we have specified earlier, in case of table per subclass strategy, tables are created as per persistent classes but they are reated using primary and foreign key. So there will not be duplicate columns in the relation. We need to specify @Inheritance(strategy=InheritanceType.JOINED) in the parent class and @PrimaryKeyJoinColumn annotation in the subclasses. Let's see the hierarchy of classes that we are going to map. In this example we are creating the three classes and provide mapping of these classes in the hibernate.cfg.xml file. In this class, we are simply storing the employee objects in the database.